Whether it’s metallic Flash Tattoos on girls at Coachella or face tats on the runway, faux ink is having a moment. Now NARS is getting in on the trend with a new set of limited-edition temporary tattoos inspired by founder François Nars’ love of French Polynesia (where he owns a private island, NBD). 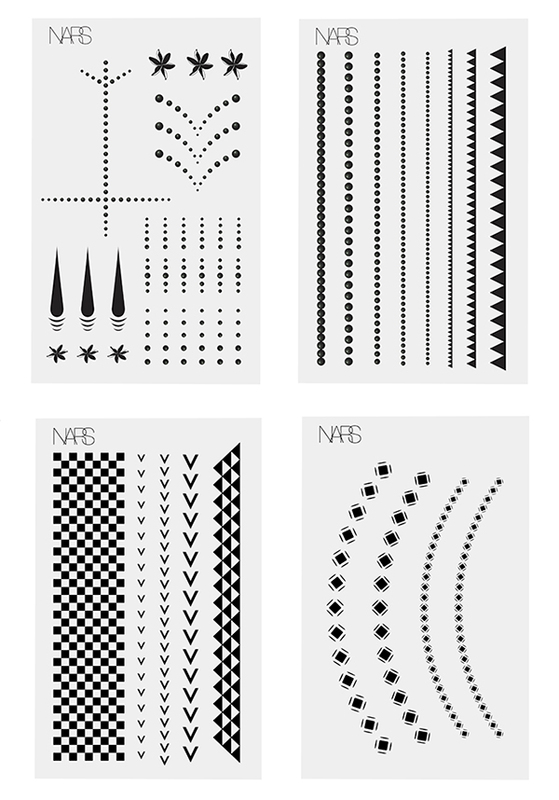 The four-sheet set of black designs inspired by Tahiti is available for $35 as part of the Last Resort Collection, which just launched at NARS boutiques, narscosmetics.com and Sephora (it hits department store counters in April). The collection also includes the Tahiti Laguna Bronzing Powder ($59) and the brand’s iconic oils, glistening bronze Body Glow ($59) and hydrating Monoï Body Glow II ($59) — all the better for showing some skin, once it’s warm enough to ditch the parka.